I almost threw the lid away and then I thought, I could make something with that lid! 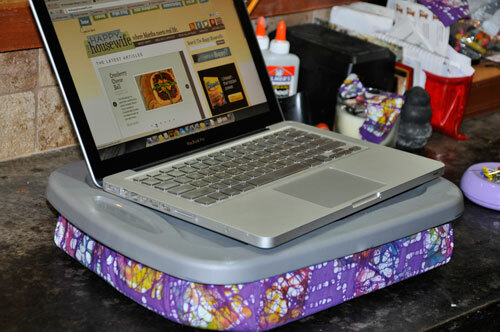 I had seen cute lap desks at the crafting store, but decided I didn’t want to pay that much for one. Surely I could turn this orphaned lid into a comfy lap desk. 1. Trace the shape of the lid onto the foam. 2. Trim foam and round the corners so that it fits nicely onto the bottom of the lid. I found that a serrated bread knife works well. 3. 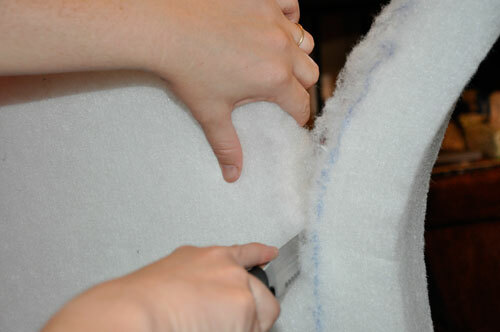 Cut fabric to cover foam. 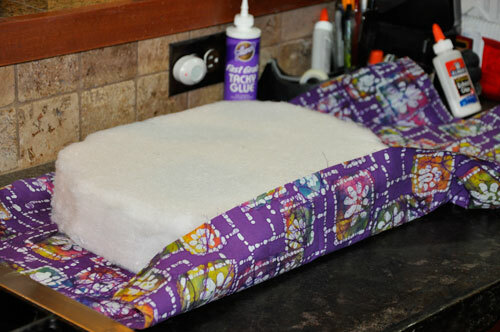 The fabric should cover the top and sides and overlap the back of the foam an inch or two. 4. 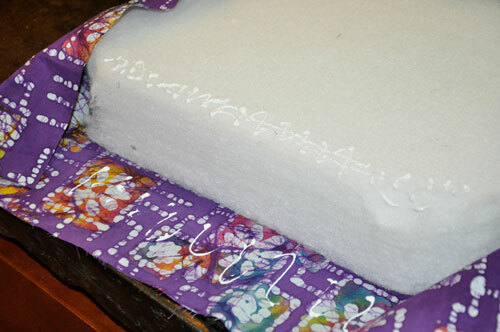 Lay the foam down on the back side of the fabric. Put tacky glue on the back edge of the foam. 5. 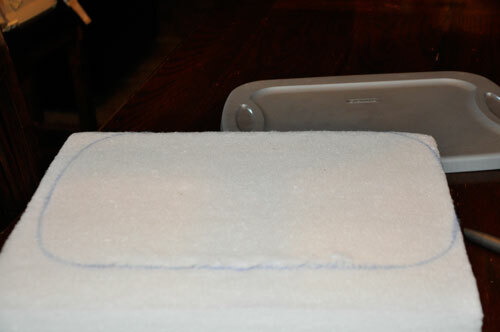 Pull the sides of the fabric up and fold onto the backside of the foam. Pin in place. Continue doing this to all four edges of the fabric. 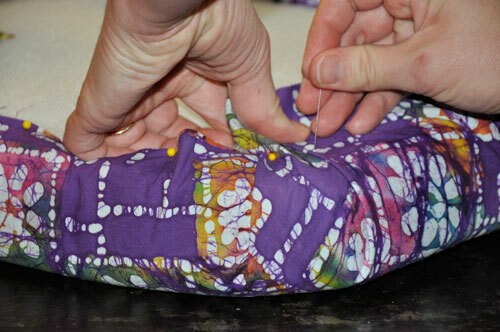 Make sure the fabric is pulled taunt and is held securely in place with the pins. 6. 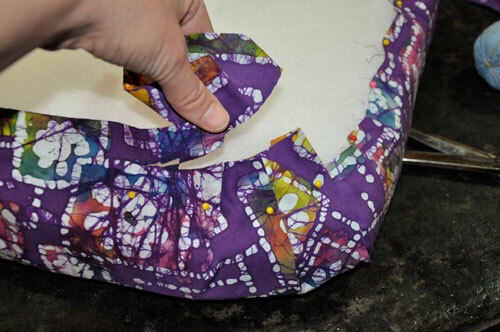 Trim any excess fabric from the corners. Let glue dry several hours. 7. Remove pins after glue is dry. Put glue all around the edge of the fabric. Be generous with the amount of glue you use. 8. 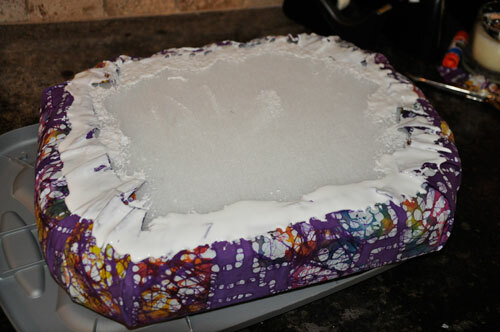 Place the foam glue side down onto the back of the lid. 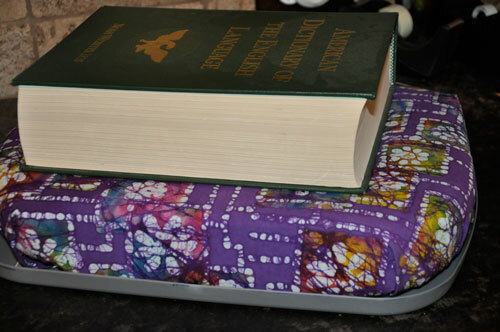 Place something heavy on the foam to keep pressure on it until it is dry (I would wait a good 24 hours, but make sure to check and see if it is dry before using it). 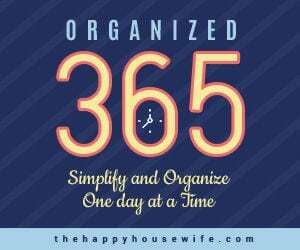 See all of our DIY Projects & Tutorials here! 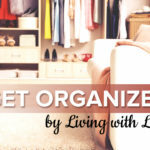 I am going to do this and and the tub can hold books writing stuff art supplies or what ever you can take to the leaving room , bedroom , camping or in the car . this is a GOOD THING! thanks I will always have a desk!